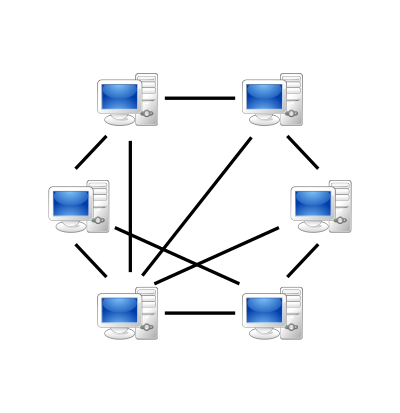 In search of a solution, the P2P network model has evolved through several different forms, including centralized, pure distributed, hybrid, and structured2. 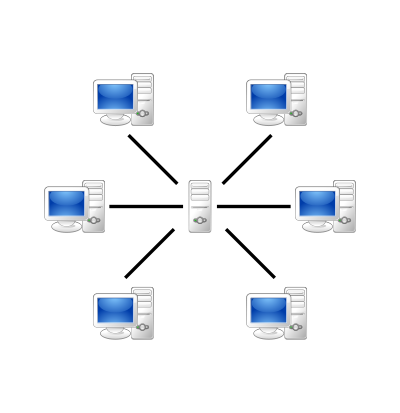 The structured P2P network is generally based on a distributed hash table (DHT), which hashes the resource to obtain the resource ObjectID and allocates NodeID to every node in the network. Ideally, ObjectID is correspondent to NodeID and resource i is stored in node i3. In this way, node n can directly request node i for resource i.
DHT has many algorithm implementations, such as Chord3 Pastry4 CAN5 and KAD6, etc. Each node saves N K-buckets, where N is the bit number of the NodeID and K can be adjusted on demand. The distance between current node and nodes in the i-th K-bucket lies between 2i and 2i+1. When node A requests resource i, given A XOR i is equal to d, node A may search from the log2d K-bucket and request resource i directly if node i is found.